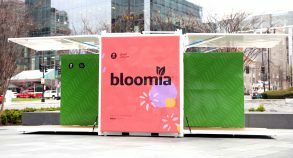 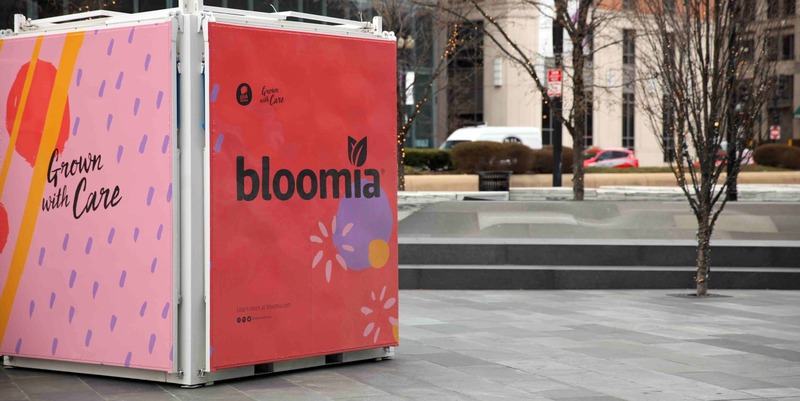 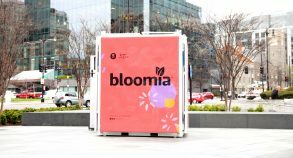 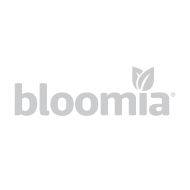 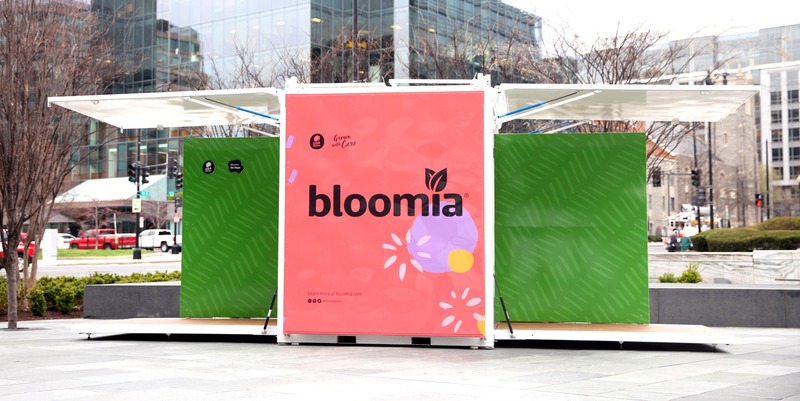 Bloomia, a major player in the American cut flower industry, launched its first-ever pop-up shop in Washington D.C. during the National Cherry Blossom Festival. 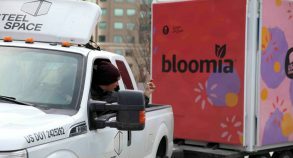 The mobile market was designed to engage thousands of families and couples throughout the course of this popular festival, which attracts more than 1.5 million visitors every year. 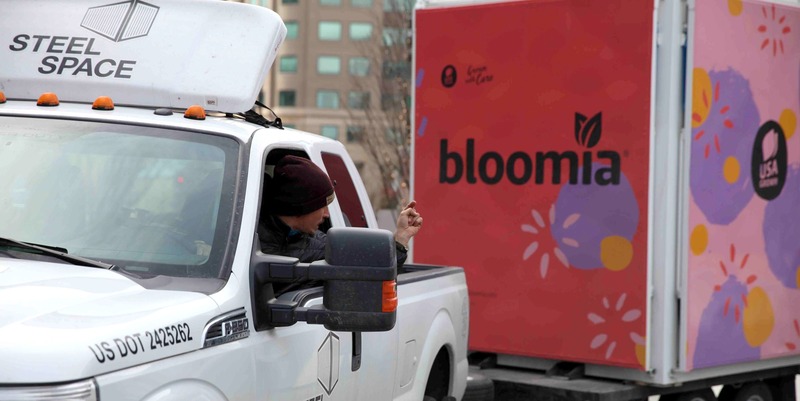 All proceeds from the flowers sold at the BloomiaMarket went to DC Central Kitchen, a nationally recognized community kitchen that recycles food around Washington DC, while providing thousands of meals for local service agencies. 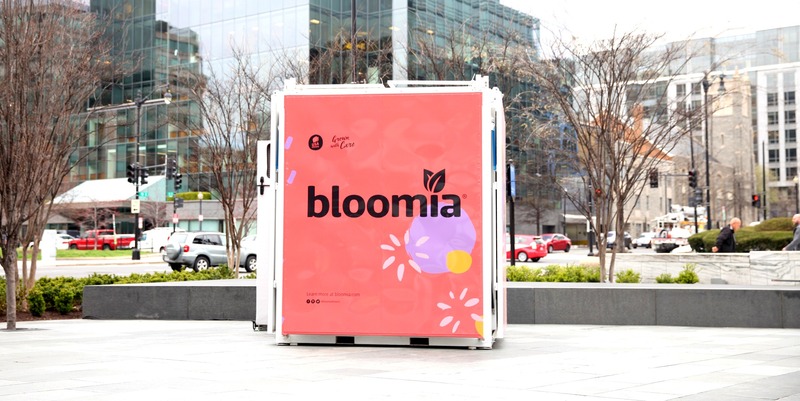 Bloomia worked with Steel Space Concepts to create the BloomiaMarket, a unique and personalized mobile market, using an SSLite8 modified container. 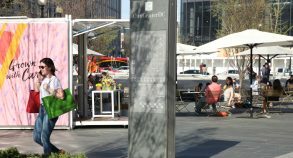 Affordable, lightweight and easy to maneuver, the Steel Space Lite 8 unit can be rapidly deployed in smaller areas where footprint is limited and can be transported using a pick-up or a SUV. 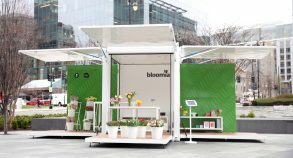 The SSLite8 unit can be easily customized for the company’s marketing campaigns and events (e.g. 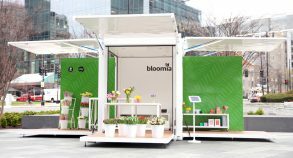 exterior panels as well as interior of the unit are 100% personalized), and provides an innovative platform for their promotional activities. 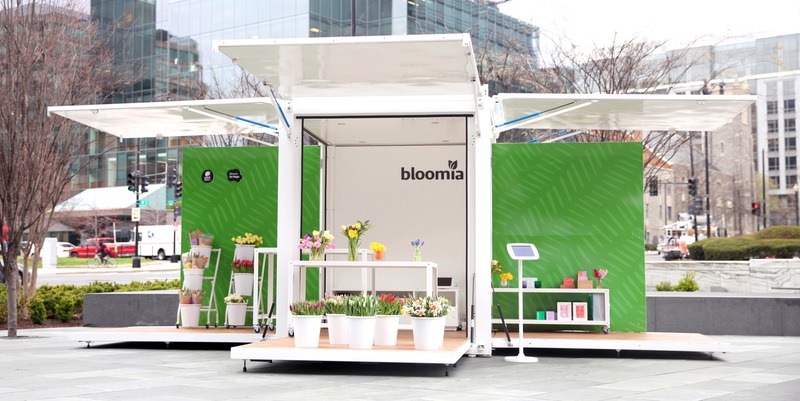 Bloomia is planning to use this mobile boutique throughout the year and across the country, especially in California and Florida. 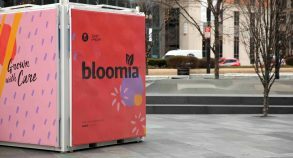 The unit’s sleek look helped Bloomia project a modern image and bring out its high-end products. 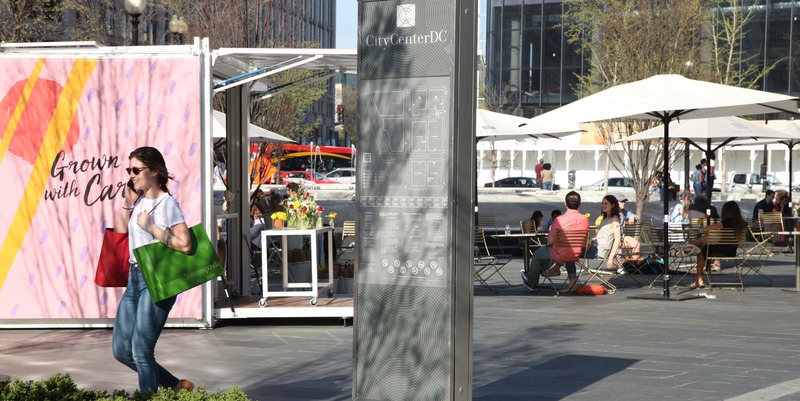 During the DC activation, the store featured unique bouquets carefully assembled from their USA grown flowers as well as their partner, Jonathan Adler’s bold and glamorous vase collections. 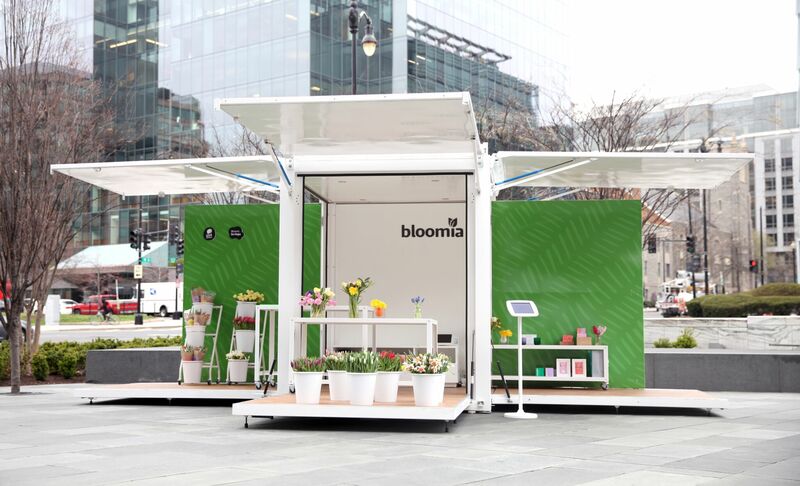 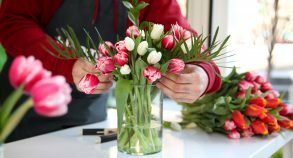 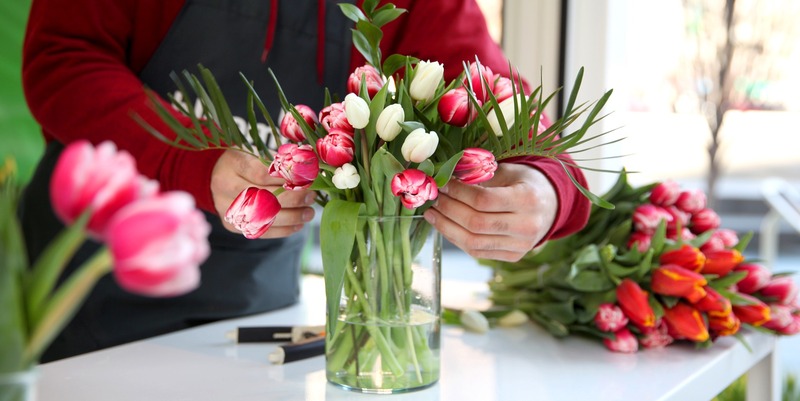 In addition to being an effective mobile marketing space, this turnkey solution offered a unique chance to the company to meet and listen to their clients’ opinion about flowers and floral products.